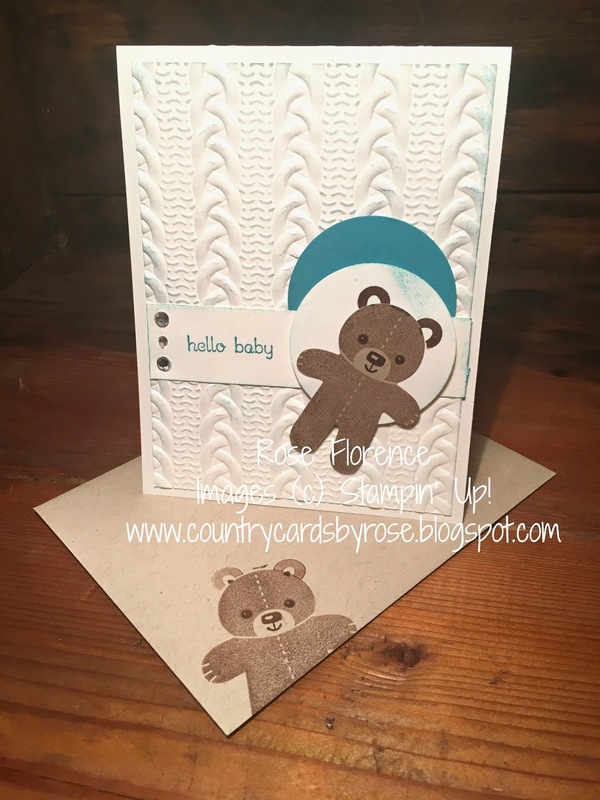 Today I have a cute card for you that showcases how easy it is to use that adorable Cookie Cutter Christmas Bundle and Cable Knit Embossing Folder for a card that you can use well after the holiday season is over. Isn't this card just adorable? 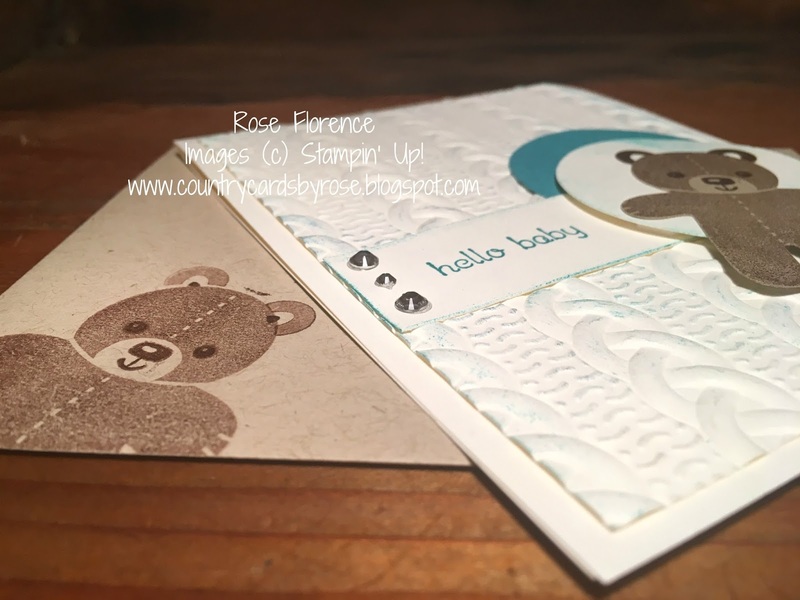 Bermuda Bay and Whisper White are a perfect combination for a baby card! I used a sponge to add some light Bermuda Bay coloring all over the cable knit texture and around the edges of all my white pieces. And don't those rhinestones add the perfect amount of "bling" to this cute card? I love that I'll be able to use this stamp set beyond just Christmas (and Halloween if you were like me and got the Halloween cookie cutter stamp set, too! ).